Author I draw inspiration from: Bill Bryson, because it takes a special level of genius to make every single sentence you write entertaining. Most authors have at least some boring sentences—if not entire pages—but not Bryson. He’s a master wordsmith. Favorite place to read a book: I have emergency books stashed everywhere in my house in case of boredom but there is nothing better than reading in my bed. Here’s how big a book nerd I am: I bought a special old-people bed with a remote control that allows me to turn the whole thing into a kind of chaise lounge so I can read sitting up. My husband thinks I’m insane. Book character I’d like to be stuck in an elevator with: Mark Darcy, from Bridget Jones. But basically I’d go with anyone who’s not Hannibal Lecter or that guy from Fifty Shades of Grey. The moment I knew I wanted to become an author: I don’t know if I could pin it to an exact moment, because I was very young when I first thought of writing. As a child, I was entranced with Eloise, and a bit later, with Harriet The Spy, so evidently I favor female protagonists who are smart, roguish, and creative. Somewhere along the line it dawned on me that I could invent one of those myself, although it took me an embarrassingly long time to actually try it. Hardback, paperback, ebook or audiobook: Hardback! I feel some guilt about the trees, though. The last book I read: Homo Deus by Yuval Noah Harari. I’m a science freak. Pen & paper or computer: Computer. Although, sadly, I never learned to type. 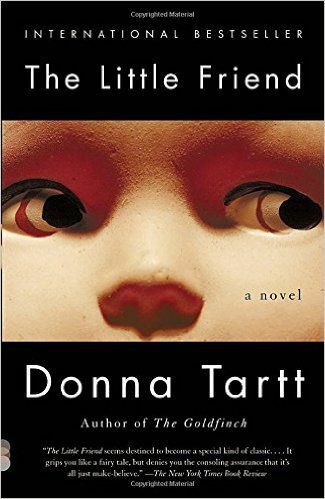 Book character I think I’d be best friends with: Harriet Cleve Dufresnes, from Donna Tartt’s The Little Friend. I love everything about that kid. If I wasn’t an author, I’d be a: Well, I am a doctor, so there’s that. But if I had to pick a third career, it would be interior designer. Favorite decade in fashion history: Oh geez! Hard one! Maybe the 60s because I love that long full flippy hair (Twiggy notwithstanding) and the glamorous eye makeup, pale lips, and short dresses. Place I’d most like to travel: Everywhere! I’m a travel junkie—and I do some travel blogging— I'm but not the kind who enjoys roughing it. I think for my next really big trip, I’d like to see the mega-cities of Asia: Hong Kong, Tokyo, Singapore. I have some scenes set in Hong Kong and Singapore in a biotech-themed book I’d like to finish someday, so it would totally be a work expense. My signature drink: Kentucky Mule. Or any really nice bourbon on the rocks. Favorite artist: As far as art that I actually own, I like Harry Guttman—he does these marvelous melted-looking cityscapes that intrigue me. I also like anything handmade and crafty—pottery, especially. For unaffordable famous artists, there are too many to name. Number one on my bucket list: Uh, well, I’d like to write a critically acclaimed bestseller but if that is not in the cards, then I would like to journey to every continent. And publish a travelogue about it. Anything else you'd like to add: You can visit my website— kimmerymartin.com —to read some of my own book recommendations and travel writing. Thank you for the interview!